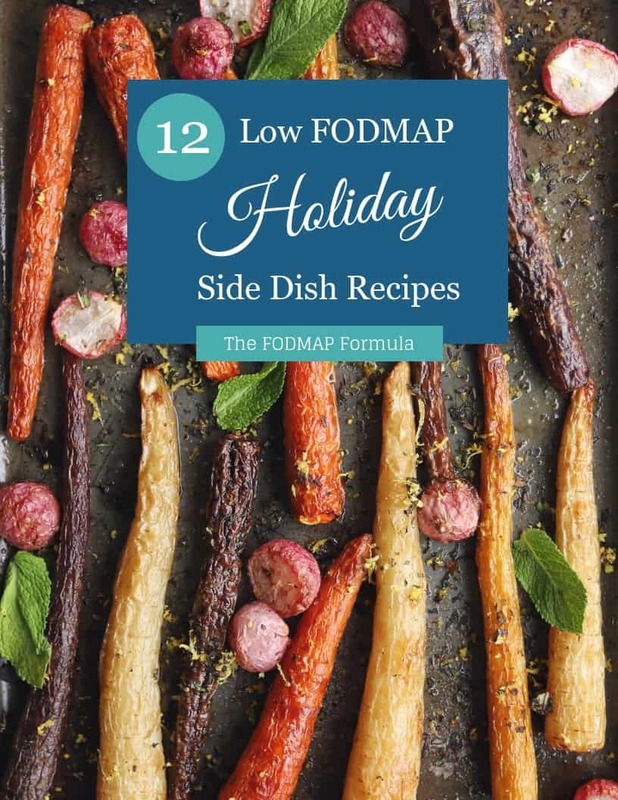 If you’re not quite comfortable in the kitchen, starting the Low FODMAP Diet can be extra stressful. When I started the program, I was still pretty new to cooking. This added a whole new layer to the stress of the elimination phase. If you need some help getting warmed up in the kitchen, check out these low FODMAP stuffed peppers. These stuffed peppers were Franken-FODMAPed from the recipe I used before starting the low FODMAP program. They’re ready in 45 minutes and are simple enough for someone new to cooking. The “Stuffing” is also freezer friendly. So, when I make these, I always freeze at least one serving for the next time I’m in a pinch. As a side note, peppers can get expensive. When they’re out of season, or when my budget feels a little tight, I skip them and eat the stuffing out of a bowl. My husband can confirm they still taste amazing. Think this recipe sound great, but you don’t have time to try it now? Don’t worry. You can PIN THIS POST for later. These low FODMAP Stuffed peppers are a quick and easy way to get dinner on the table. Check out the notes below to keep this recipe FODMAP friendly. First up is peppers. According to Monash University, bell peppers don’t have any FODMAPs. But, just so you know, they do have a compound called capsaicin. This chemical can cause heartburn or abdominal pain in some people. If you have issues with heartburn, skip the pepper and eat the stuffing out of a bowl. Next up, tomatoes. I normally use Roma tomatoes in my stuffed peppers. They have less juice than a common tomato, so they don’t water down the recipe. Also, the “flesh” of a Roma tomato is much thicker and drier, which is better for recipes like this, where they get boiled down. Monash University recommends 1 small Roma tomato per sitting. Servings of 5 1/2 Roma tomatoes or more are high in the FODMAP fructan. We use 2 Roma tomatoes in this recipe. This works out to half a Roma tomato per serving, so you’re good. Normally, stuffed pepper recipes use minced onion to add a savory flavour. Since onions are off-limits for now, use a splash of balsamic vinegar to add some depth. According to Monash, 1 tbsp of balsamic vinegar is low FODMAP. Don’t worry about it too much, though. You’re only adding a splash. The final ingredient is cheddar cheese. Hard cheeses are lower in lactose because it’s broken down by bacteria during the fermentation process. This means you can have a small amount of cheddar cheese even if you’re in the elimination phase. According to the Monash app, you can have up to 1/2 a cup of shredded cheddar per sitting. We use 1/2 a cup for the entire recipe so you’ll be safe, even if you have a larger portion. These low FODMAP stuffed peppers are pretty filling, but they can look a little sad sitting on your plate all by themselves. My husband and I normally make a fresh garden salad to take up some of our plates. You can also add some steamed vegetables like carrots, or a safe portion of broccoli for some veggie variety. Think these stuffed peppers will work for you? Don’t forget to PIN THIS RECIPE so you can come back to it later. Looking for a stress-free FODMAP friendly dinner? Try these low FODMAP Stuffed peppers. This colourful dish is the perfect introduction to the Low FODMAP Diet, especially if you're still finding your way around the kitchen. Bring a large pot of water to a boil. Blanch peppers for 5 minutes, then remove and set aside to cool/drain. Preheat oven to 350 degrees. Heat garlic-infused olive oil in a frying pan over medium heat. Add beef, paprika, and thyme. Scramble fry beef until cooked through. DO NOT DRAIN! Push meat to one side of the pan and allow grease and oil to accumulate in the center of the pan. Add tomatoes and cook for 3-5 minutes (until very soft). Add rice and stir all ingredients until combined. Then drizzle mixture with balsamic vinegar (be gentle), and stir. Add cheese and stir one final time. Scoop the stuffing into the peppers. Place peppers on a baking tray and bake for 20 minutes. Serve warm. Use mini peppers to make a cute and colourful appetizer, or skip the peppers and freeze the stuffing for a quick and delicious freezer meal! I hope these quick and easy low FODMAP stuffed peppers help get your low FODMAP Diet off to a good start. If you like this recipe, make sure to sign up for my mailing list below. You’ll get new recipes and articles delivered right to your inbox. Need more ideas to get you started? Follow me on Pinterest for even more inspiration. Together we’ll get the Low FODMAP Diet down to a science! Want to see more recipes! Hi, Diane! Great to hear from you. New recipes are posted every Thursday. You can also subscribe to the mailing list in the sidebar to have recipes and articles delivered right to your inbox. These stuffed peppers are delicious! I don’t follow the low fodmap diet myself (my wife does), and these are delicious! My wife freezes the stuffing and we use it as emergency food when our plans change or dinner doesn’t work for one reason or another. They taste just fine out of the freezer which is nice. I always have a few servings of the stuffing in my freezer. 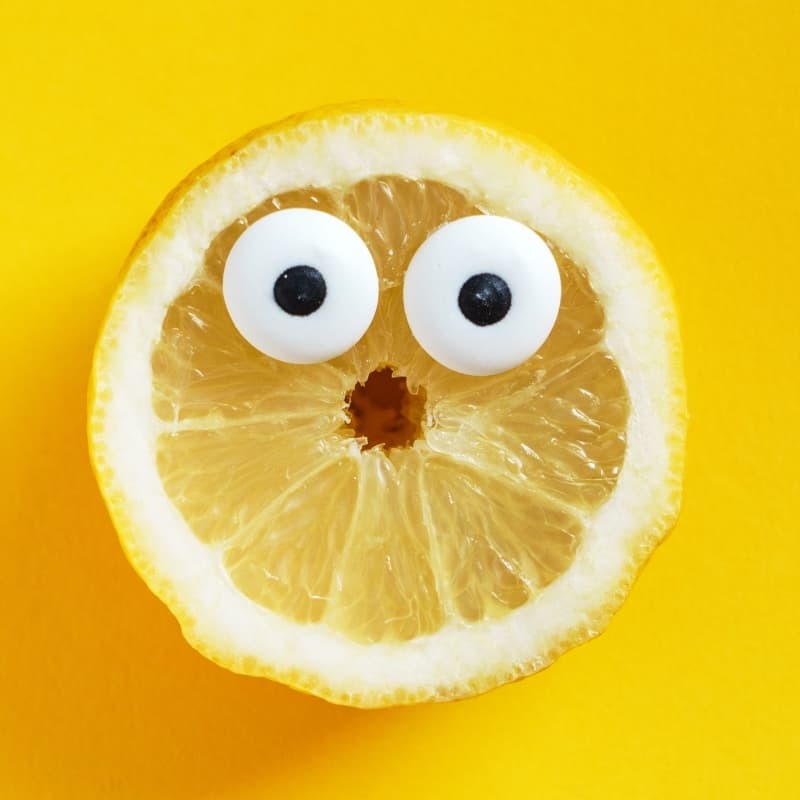 It is so convenient if our plans change and I need a quick low FODMAP meal or when a new Franken-FODMAP experiment goes awry. They heat up in the microwave and still taste great! Glad your family has found something that works for you! Great stuffed peppers. Just new to this fodmap eating. The Low FODMAP Diet can be a bit confusing in the beginning. We’ve got lots of recipes to get you started! If you’re new to the Low FODMAP Diet, check out the resource section for handy information on beginning the diet.